Correia, Mara Cristina Salles and Tarcisio Zandonade. “Information as Recorded Knowledge.”  Social Epistemology Review and Reply Collective 4, no. 9 (2015): 13-39. Information science is a social science whose domain was established through the study in library science in the mid 20th century. It has adopted fundamental concepts from other scientific areas, especially from cognitive sciences, informatics, computer science, artificial intelligence, linguistics, semantics, communication science, cybernetics, systems theory and social sciences. Recorded knowledge has been building-up since the first written documents appeared at around 3,200 years BCE. The critical period of ‘humanization’ produced the human conscious mind, after which humans created language, allowing for the development of the graphical representation of knowledge, i.e., writing, to perpetuate memory through ‘documents’. Since then it has been possible to identify the accumulation of written records, essential tools of history, in every culture, collected into large repositories, or libraries, administered by the first library professionals. In addition, since the first libraries of the ancient world, librarians created bibliographical control tools with the purpose of selecting, organizing, storing, retrieving and making written records available for society. Library science was institutionalised as ‘library economy’ at the end of the 19th century. Until the mid 20th century, libraries focused mainly on ‘books’ collected into libraries or listed through bibliographies. After the Second World War, this focus was gradually shifted into the ‘content’ of books, which led to the emergence of information science. Since its inception, the object of a science of information was given thousands of definitions, only a few of them explaining the elements of which information is composed, i.e., (a) graphical records of knowledge on physical support; (b) whose content is extracted from written language through reading. This article proposes to expand upon this definition of information applying the Aristotelian concept of matter (graphic records) combined with substantial form (content), so that this combination defines information substance as the object of information science, allowing for the retrieval of meaning by the process of reading. The magnitude of the existing volume of scientific literature is one of the major hindrances in the production of new knowledge in any scientific domain. It is not different with information science. The quantity of research attempting to construct a definition for this rather new science of information and for its object of study is vast. With each new definition, the ambiguity of the original concept of ‘information’ increases. Providentially, information scientists themselves are the professionals responsible for the summarisation, consolidation, and assessment of the “selva selvaggia” of texts in any scientific literature, especially on their own turf, so that secondary and tertiary services cover primary literature quite adequately in information science. The presentation of the vast production of literature in any area of knowledge in a condensed form is obtained mainly through a bibliographic control tool variously named as ‘literature review’, ‘state of the art’, ‘progress in’ or ‘advances in’. Many of these tools are published as periodicals at regular intervals. Occasional bibliographic review articles also abound in every science. This review mechanism was preceded in library history by cataloguing and bibliography, both contemporaries of libraries of the ancient world. With the advent of the www in the internet, a ‘cybergraphic review service’—Wikipedia, the Free Encyclopedia—recording ‘bibliographic and cybergraphic reviews’ on any area of study is being developed and is quickly growing as a comprehensive synthesis of public knowledge (Fuller 2010). A major drawback in the study and research in the field of information science is undoubtedly the lack of a clear, detailed and exhaustive definition of information as the object of information science. No science can proceed without first understandably defining the content, the demarcation lines of the territory, and the nature of its object of investigation. Definition is an essential element to initiate any research, as Aristotle stated at the very dawn of philosophic and scientific knowledge in the Western World. His ontological τί ἐστί; (what is it?) question is the initial query of any philosophical or scientific study, dispute or investigation, and without a genuine response a scientific discipline is unable to advance (Aristotle, Metaphysics, Book Z – VII). During the second half of the 20th century, a number of authors tried to define or describe ‘information as the object of information science’, but very few conclusive results were reported in the literature. Being unable to construct a useful definition made it very difficult for this new science to progress adequately. However, we can report that several pioneers in this area did have a clear understanding of the science they were creating. As an instance, David Bawden (2008), a British pioneer in information science, authoritatively describes the definitions issued by two founders of information science in Great Britain: Jason Farradane (1906-1989), British librarian, creator of the former Institute of Information Science (IIS), now merged with the Chartered Institute for Library and Information Professionals (CILIP) (Farradane 1976, 1979, 1980); and Bertram Claude Brookes (1910-1991), British statistician and information scientist (Brookes 1980a). One of the main features of the definition by Farradane is a plea for information science to develop as an autonomous science “in its own line” and to be esteemed as a “true information science”, adding that information science should be defined as an “academic and applied study”. Again according to Bawden, Farradane “developed the view that information science is modelled on the physical sciences, and based on experimental studies of carefully defined physical information entities”. Bawden (2008) also reports that Brookes requires “much more analysis of the foundations of the subject of information science”. Brookes likewise claimed that information science “has to be modelled on the physical sciences, based on quantitative analysis of objective and publicly observable phenomena”. The most important feature of Brookes’ definition is that it is grounded on the theory of the three worlds, by Karl R. Popper (1902-1994), and Brookes’ view of information as pertaining to world 3. The adoption of the definition of information as Popper’s world 3 emphasizes the distinction between subjective and objective knowledge, an important concept for a definition of information as ‘recorded objective knowledge’. Among other authors examined by Bawden (2008), Robertson (1990) and Weller and Raider (2007) are singled out for making “reservations … for the borrowing and integrating” discipline model. They see that the “constant input of ideas and people reduces cohesiveness”, and “filtering information science ideas into other disciplines only if information science has academically coherent core”. These authors contend that “borrowing and integrating” will be insufficient for the development of a specific information science theory base. Beyond the planned scope of Bowden’s survey, other relevant literature reviews on the concept of information for information science need to be referenced, such as D. J. Foskett’s Progress in Documentation. Informatics (1970), and the leading article by A. I. Mikhailov, director of VINITI, and his associates, A. I. Chernyi, and R. S. Gilyarevskyi (1969). The International Research Forum in Information Science held from July 29th to August 2nd, 1975, organized by the School of Library, Archive and Information Studies at the University College London, “brought together 32 information scientists from 10 countries to discuss the theoretical basis of their work” in information science (Vickery 1975). Shortly after, a comprehensive report Progress in Documentation appeared in the Journal of Documentation, edited by N. J. Belkin (1978), entitled Information concepts for information science, in which close to fifty articles pertinent to this matter are reviewed. It is strongly contended here that the main requirement for information to be the object of information science is that it has to be characterized as a specific man-made product—a ‘human artefact’. Unfortunately, at the very foundation of information science, Shannon co-opted the term information for what came to be named ‘information theory’, and the object of his thesis became “information without meaning” (Floridi 2005). In the wake of Shannon’s The Mathematical Theory of Communication (1949)—a significant work for the theory of communication—many others followed identifying as information any organized natural structure. A number of other tendencies assimilated the term information for their own fields of study. With these alternative agents claiming information to be any organized natural data or facts, the literature of information science resulted in a mixed up and barely understandable complex of ideas leading to an exponential increase in ambiguity for a term already riddled with obscure semantics, at least in the field of information science. The main proposal for information science to become a real science was introduced by Margaret Elizabeth Egan (1905–1959) and Jesse Hauk Shera (1903–1982). Both were lecturers at the Graduate Library School (GLS) of the University of Chicago. They never made a clear decision about naming their project, but, in the end, the title for the academic discipline they created was ‘social epistemology’. The seeds of this project were sown in a short article (Egan and Shera 1949) certainly published in preparation for the Fifteenth Annual Conference of the Graduate Library School (GLS) of the University of Chicago, scheduled to take place from the 24th to the 29th of July, 1950. This small essay consisting of only ten paragraphs constitutes the ‘birth certificate’ of the concept and definition of ‘bibliographic control’, which these two authors chose as a substitute for “what the Europeans call documentation”. By similarity with mechanic controls “by means of which the energies of a machine may be directed to the achievement of a given end with a minimum of effort”, “bibliographic controls are [defined as] those devices used to direct intellectual energy in extracting from the totality of recorded information those portions relevant to a particular task with the utmost speed and economy”. Consequently, the phrase ‘bibliographic control’ brought under a new concept all the tools of information storage and retrieval created through centuries by librarianship, since the first indexes and catalogs of the ancient libraries of Nineveh, Alexandria, Pergamum, Constantinople and others. Egan and Shera state in the second paragraph of their ‘prolegomena’ that “bibliographic control may be considered internally, from the standpoint of the librarian and scholar who devise and use them”; and externally, from the standpoint of the sociologist who “might view it as one part of the more general problem of communication, since in its entirety it involves (1) communication within a group of specialists, (2) communication between various groups of specialists, and (3) communication between specialist and lay public”. The sociologist’s approach would be “a generalized body of knowledge and set of operating principles closely related to the structure of scholarship and its techniques of transmission… through graphic communication”. These two ways in which bibliographic control is studied clearly represent (a) the domain of the professional librarian, and (b) the field of the then rising information science. At the annual conference of the GLS in 1950—a historic landmark for information science—Shera and Egan edited the conference papers as Bibliographic Organization (Shera and Egan 1951)—an alternative name more palatable to their peers. Jesse Shera delivered a lecture at this conference on Classification as the Basis of Bibliographic Organization (Shera and Egan 1951, 72-93) during which he nonchalantly mentioned the phrase ‘social epistemology’ (Shera and Egan 1951, 83), a term Shera and Egan did not even record in the index of the publication of the meeting papers. From mid 20th century to his death, Jesse Shera periodically proposed a project of the academic discipline named ‘social epistemology’. However, the conferences and papers in which Shera mentioned this new subject were published in periodicals certainly accessed only by library science academics. Shera published most of his papers on social epistemology individually, but until Egan’s death in 1959, he wrote and discussed about this matter in cooperation with his associate, to whom he constantly attributed the choice of the term ‘social epistemology’. Such a discipline is here denominated, for want of a more accurately descriptive term, “social epistemology”, by which is meant the study of those processes by which society as a whole seeks to achieve a perceptive or understanding relation to the total environment—physical, psychological, and intellectual. The derivation of the term is readily apparent. Epistemology is the theory or science of the methods and foundations of knowledge; and through it the philosopher seeks an understanding of how the individual achieves a perceptual or knowing relationship to his environment. Social epistemology merely lifts the discipline from the intellectual life of the individual to that of the society, nation, or culture (Egan and Shera 1952, 132). Many other of Shera’s writings mentioned this same description, sometimes displaying the author’s doubt about which term to choose for his new discipline. This seems odd, since Shera was very much in favour of standardization of scientific terminology: “The maturity of an area of knowledge is reflected in the degree of standardization of its nomenclature” (Shera 1951, 84-85). Another reference to the social epistemology discipline was a conference presentation in 1960 at the Institute of General Semantics, in Lakeville, Connecticut. Other publications with similar descriptions of this project followed (1960, 1961a, 1961b, 1963, 1964, 1965, 1968, 1972, 1973, 1980, and finally 1983, just before Shera’s death). The most comprehensive description Shera made of his idea of a new discipline to assist information science in becoming a real science was chapter 4, An Epistemological Foundation for Library Science (Shera 1972, 109-134), of his masterpiece On the Foundations of Education for Librarianship (Shera 1972). In this 26 pages chapter, Shera proposes that the librarian willing her “bibliographic and information systems [to be] structured to conform as closely as possible to man’s uses of recorded knowledge, the theoretical foundations of [her] profession must eventually provide answers” to four questions. The first three deal with the problems of cognition, social cognition, and the history and philosophy of knowledge. The fourth problem deals specifically with “the problem of existing bibliographic mechanisms and the extent to which they are in congruence with the realities of the communication process of knowledge and the findings of epistemology of inquiry”. Thus, Shera made clear that social epistemology should deal with the problem of the production of knowledge and the need for the methods and systems of storage and retrieval of information—for him the core of library and information science—to be made congruent with the “open system” of “the structure and communication of knowledge”. The prospect of Shera’s project was not well received, especially among the practicing librarians. However, a small group of authors, some of them highly productive in the literature of library science, followed Shera’s ideas even after his death. Shera’s main critics and followers were: William Goffman and Vaun A. Newill (1964, 1967), William Goffman (1965, 1966), Laurence B. Heilprin (1968), S. R. Ranganathan (1970), Brian C. Brookes (1973), Conrad H. Rawski (1973), Thomas J. Froelich (1987, 1989a, 1989b, 1994), John M. Budd (1995, 1999), Birger Hjørland (2002). A group of other authors were identified, but for brevity reasons are not reported here. After Shera’s death, social epistemology continued to be the research theme of a few supporters gained by Shera during his life. However, in the absence of a leader, the matter of social epistemology was eventually drowned in the sea of library and information science literature, only to re-emerge in the more fertile ground of philosophy literature, through the October, 1987, issue of the periodical Synthese, dedicated to Social Epistemology. Under the editorship of Frederick F. Schmitt, six other philosophers contributed to this number of Synthese: Stewart Cohen, Hilary Kornblith, Keith Lehrer, Alvin I. Goldman, Steve Fuller, and Margaret Gilbert. The two main collaborators that are still working in this area are Alvin I. Goldman and Steve W. Fuller. Fuller published the first monograph on social epistemology in 1988 (Fuller 1988, 2002), and founded a scientific periodical with the title Social Epistemology: A Journal of Knowledge, Culture and Policy. The key tool for the creation of history is the document. Before the invention of writing there was prehistory, based exclusively on myths and legends, transmitted from generation to generation through oral language. “The only consistent and worthy method which philosophical investigation can adopt is to take up history where rationality begins to manifest itself in the actual conduct of the world affairs (not where it is merely an undeveloped potentiality)—where a condition of things is present in which it realizes itself in consciousness, will and action” (Hegel 2001, 75). This is how Georg Wilhelm Friedrich Hegel (1770–1831) explained the beginning of history only when human conscious mind manifested itself. History started at the point when a community that is acquiring a stable existence, and exalting itself into a State, requires formal commands and laws—comprehensive and universally binding prescriptions; and thus produces a record as well as an interest concerned with intelligent, definite—and, in their results—lasting transactions and occurrences; on which Mnemosyne, for the behoof of the perennial object of the formation and constitution of the State, is impelled to confer perpetuity” (Hegel 2001, 77). The periods—whether we suppose them to be centuries or millennia—that were passed by nations before history was written among them— and which may have been filled with revolutions, nomadic wanderings, and the strangest mutations—are on that very account destitute of objective history, because they present no subjective history, no annals. We need not suppose that the records of such periods have accidentally perished; rather, because they were not possible, do we find them wanting. Only in a State cognizant of laws, can distinct transactions take place, accompanied by such a clear consciousness of them as supplies the ability and suggests the necessity of an enduring record (Hegel 2001, 77). Traditions became organised and a collective memory was developed. Slender and granular as this first membrane might be, the noosphere there and then began to close in upon itself—and to encircle the earth. We have retained the habit, come down to us from the days when human palaeontology did not exist, of isolating that particular slice of six thousand years or so for which we possess written or dated documents. This for us is History, as opposed to pre-History (Chardin 1975, 206-207). The analogy between the ‘noosphere’—the construct designed by Teilhard de Chardin to make up the sphere of human thought around the terrestrial glob—and the internet’s ‘infosphere’ established at the beginning of globalization a quarter of a century ago—may be questionable and artificial. However, both these entities—noosphere and infosphere—represent the storage of all human knowledge graphically recorded on any physical support, including cyberspace. This relation of similarity between these two distinct entities in different periods of human evolution is, without question, a rich icon of the building up of knowledge in society. The present work proposes to go a few steps in the long, almost endless, geological chronology since the origin of life, with the purpose of identifying the developments within ‘humanization’, the creation of language and the emergence of writing and reading, the tools of thought, and the production of knowledge from the first civilizations to the present day. Humanization, the process by which the human species evolved by assuming physical, physiological and mental characteristics distinguishing them from other primates, is placed in time and space at the point at which humans presented the first evidence of a conscious mind, still rudimentary and primitive, but with evidence of the cultural and biological evolution of humanity. The examination of this critical period lasting thousands of years is of interest to the present study to determine the contention that our ancestors conquered the ability to acquire knowledge. Furthermore, to understand how and when human beings started to record and store knowledge in their own mental endosomatic memory. And then, through marks, traces, signs organized as representative symbols, human beings invented a physical exosomatic memory, to safeguard the longevity of the endowment of evolution, i.e., the universe of objective recorded knowledge, a.k.a., information. The empirical science that studies the origin of life on Earth, the evolution of the Universe and, in particular, the biological and cultural evolution of human beings is palaeontology, aided by other sciences such as evolutionary biology, morphology, anthropology, history, geology, psychology, archaeology and other specialties. Palaeontology is a natural science that studies the proto-history of Earth and its geological development. It also investigates the integration processes of the biological structure in geological records, that is, in the constitution of fossils. As science, palaeontology establishes the connection of geological and biological sciences. Palaeontology researches, in a systematic way, the origin of life on Earth three billion six hundred million years ago. The methodical study of fossils emerged at the end of the Middle Ages. In the Modern Age, as from the inception of physics as an empirical science, philosophical studies of Nature were limited to cosmology. Physics, the first of the natural sciences, is dedicated to the study of Nature through observation, experimentation and experience, in opposition to the previous period when natural philosophy investigated, in the light of reason, the foundational laws of Nature. From the mid 19th century, with the growth of geological societies and museums, geological and paleontological activity became more organized. Other disciplines such as paleoantropology, a combination of palaeontology and physical anthropology, began studying the origin of life and of human evolution through fossils found in several continents. The history of human evolution itself, computed from the time of the Hominini, occurred in the African continent around fourteen to ten million years ago. This was a long process through which our ancestors became modern humans. The evolutionary changes up to 40 thousand years ago were at the genetic level, i.e., through small changes in the nature of genes. Thus, with these small changes in the structure of genes from generation to generation, through reproduction, the new species have inherited a different genetic makeup than that of their ancestors. Some of the heirs received characteristics that made them more suitable for survival and reproduction of new progeny. Archaeologists locate and dig out archaeological sites. With different techniques they define the age of these locations and analyse any traces found. Thus, they define the environment in which humans lived as well as their eating and daily habits. At this stage of evolution 2 million years ago, characterized by slow progress, are found the first instruments made of stone, worked flint, fire, and paintings in caves next to fossils of Homo habilis, so called because he is seen as a “skilled man” manufacturing artefacts. The most important invention of this period was the creation of language. Popular narratives aroused with language. The importance of human manufacturing entities with objective knowledge embedded in them will be discussed later. The first instruments manufactured by humans have a complexity of styles. The Palaeolithic Period took place between 2.5 million years BCE, when our ancestors began the production of artefacts of chipped stone, up to about 10,000 years BCE. These artefacts were improved during two periods: Mesolithic, which lasted between 10,000 and 5,000 years BCE; and Neolithic, extended from 5,000 to 3000 years BCE, when hunter-gatherers disappeared. During these periods, rustic pebbles, axes with a handle, initially of rough stone and then of polished stone, and finally of delicate chipped and polished stone, were manufactured. In addition to weapons and tools of stone, paintings and other art forms were produced during this time period, expressing the rise of culture (Roberts 2011, 33). Without doubt, the sophistication of culture was optimized by the discovery of spoken language, whose time of origin cannot be determined with accuracy. The invention of language was followed by that of writing and reading. In this period of a million years BCE during the humanization age, in addition to the physical and physiological human features, also the psychic characteristics of rationality were identified. The emergence 130 million years BCE ago of FOXP2, the gene related to language, including grammatical ability, is highlighted. The lack of direct evidence does not allow the dating of human verbal language. Anthropologists continue speculating about the date when verbal communication would have appeared among our ancestors. However, the human larynx is composed of soft tissue that does not fossilize, nor leaves any traces (Roberts 2011, 32). It is certain, nevertheless, that the “central conscience” did not need language to emerge. It preceded language in the chronology of humanization. Language must have evolved in individuals endowed with conscience. “Consciousness is a mental state that allows perception of one’s own life and of the surrounding world”. If consciousness is a state of mind it may not have existed without a mind (Damasio 2011, 197, 215). Originally, language is the system with which humans share their ideas and feelings through speech. Speech is the issuing of a sequence of sounds, i.e., words organized by a grammar. These sounds, by a collective renewable agreement within a social group, receive a ‘meaning’. The word, therefore, is an oral signal representative of knowledge in the mind of the speaker. “The singularity of the human spirit is that s/he is able to invent signs and create new meanings for the signs already existing, i.e., to review the convention that makes communication possible” (Escarpit 1973, 10, our translation from French original text). Spoken words are the symbols of mental experience and written words are the symbols of spoken words. Just as all men have not the same writing, so all men have not the same speech sounds, but the mental experiences, which these directly symbolize, are the same for all, as also are those things of which our experiences are the images (Aristotle 2014). After analysing the creation of writing, Robert Escarpit (1978, 12) concluded that two main ideas may be considered for describing oral language and writing: “The oral language is privileged by its flexibility and convenience, but employed by natural channels, it is limited in time and space”. On the other hand, in writing, “time and space can be controlled by systems of signs encoded that can possibly constitute autonomous languages”. Writing is a process that consists of the expression of accumulated knowledge in the human brain via the graphic recording of signals—‘symbols’—on a physical medium. For the understanding of different types of ‘marks’ that constitute the physical components of writing, a definition and classification of these marks is required, technically called signs. The term ‘sign’ has two large generations of etymologies: one through the Greek word σημεῖον (sign, mark); and the other through the Latin word signum. Charles Sanders Peirce (1839-1914) describes sign precisely: “I define a sign as anything which is so determined by something else, called its Object, and so determines an effect upon a person, which effect I call its interpretant, that the later is thereby mediately determined by the former (Peirce 1998, 478, as cited by Atkin 2013). Peirce also divides the sign into three classes: (a) sign, or index (from the Latin index, -icis, the advertiser), when a signal represents another or maintains a direct relationship with its referral: wet floor is an index of rain; b) iconic sign or icon (from Greek εἰκών, -όνος, picture, portrait), when it has some analogy with its referral: a photograph is analogous to the person photographed; c) symbolic sign or symbol (from Greek σύμβολον, a sign or a mark by which something is shown), when the relationship with the referent is arbitrary and adopted by collective agreement of a community: the written word is the symbol of speech sound (Pignatari 1977, 25-28). As mentioned above, anthropologists are not unanimous with respect to the origins of human language. The creation and the evolution of writing must have occurred at the beginning of the Bronze Age from 3,200 years BCE. Our predecessors created writing to represent oral language. As such, writing is a sequence of organized symbols to externalize human thought, registering marks on a physical medium. Graphic symbols are traces representing meaning, created by agreement between the members of a human society. In view of the nature of conventional symbols, they will have developed from a society to another, from a variety of sources. In the framework of time and space, writing exponentially expands the accessibility of the message recorded on a medium, since it will be available for the time during which the support remains intact, in addition to being retrievable at any point of the world. Originally, the library consisted of ‘archives’ of the ‘earliest forms of writing’, recorded on individual supports. Plates of clay, the first systematic known supports, employed Sumerian writing during the Bronze Age, a period of civilization that began in the Middle East during the Neolithic period. Sumerian writing employed a wedge-shaped stiletto for engraving its signs, and was developed around 3,200 BCE. Together with the Egyptian hieroglyphs it was the oldest known type of writing. Initially this writing represented forms of objects from Nature, the so-called pictograms, but these forms, for convenience, with time became simpler and more abstract. The Library of Nineveh or Library of Assurbanipal, one of the earliest libraries of which we are aware, was a repository created by the Assyrian King Assurbanipal II (4th century BCE). It contained several tens of thousands of plates of clay with texts written in cuneiform, among which the Epic of Gilgamesh. There is evidence of libraries in ancient times also at Nippur (1,900 BCE) and Mosul (700 BCE). These repertories of the Ancient World were equipped with a rudimentary bibliographic classification system, a first tool of bibliographical control. The first collections to store primarily literature and religious books, instead of only public or institutional documents, appeared in Greece. Another of the oldest libraries of Antiquity, of which we have knowledge, was the Library of Alexandria, in Egypt, at the confluence of the River Nile, one of the largest and most significant libraries of Ancient World. It maintained a collection of books in the form of rolls of papyrus of inestimable value and was completely destroyed in 642 BCE. Recently, in 2002, a modern Library of Alexandria was inaugurated by Unesco, next to the site of the old Royal Library of Alexandria which it rememorizes. The Imperial Library of Constantinople, capital of the Byzantine Empire, was the last of the great libraries of Ancient World, having preserved the Greek and Roman cultures for over a thousand years. It was active until the conquest of Constantinople by the Ottoman Empire in the mid 15th century. The English philosopher Francis Bacon, in a whimsical work published posthumously, described a library called the House of Solomon on the island of Atlantis (Bacon 1984). This work, in which Bacon described the structure and operation of the House of Solomon based on the features of large libraries of Antiquity, stimulated Paul Otlet to start, in 1893, together with Henri La Fontaine, the ‘documentation movement’. Before humans started producing instruments and weapons only original entities belonging to Nature existed. However, to the extent that evolving human beings acquired a conscious mind with the ability to learn, they began to build up knowledge in their intellects by ‘reading’ the Book of Nature. From the stage at which Homo habilis began to build the first tools, a new world of artefacts was created, which includes the first rustic stone axes up to the modern metropolis and space stations. WRITING: Signs with meaning assigned or graphic symbols. The psychological phenomena, the nature of our mind and of our conscious states in general is studied empirically by the so-called cognitive sciences, which include psychology, neuroscience, linguistics, anthropology, artificial intelligence, among others. Cognitive sciences do not assume, nor would they have the competence to do so, that there is a spiritual soul as a separate entity from the body. In addition, there are empirical studies, experiments and observations that frequently use the term ‘brain’ as a synonym for ‘mind’, implicitly rejecting the concept of soul. Cognitive sciences carefully study the architecture and functioning of the brain. Recent studies have outlined the super-highways formed by neurons, synaptic connections, the large number of different ways or ‘maps’ in each nerve cell of the brain, and the nature of visual perception. It is convenient to understand the nature of visual perception, the channel by which the most relevant part of knowledge assimilated from the outside environment is introduced into our mind. To understand the structure and functioning of the human brain, Antonio Rosa Damasio (2011, 92) makes an analogy of visual maps with images displayed on an electronic billboard, whose content is modified or overwritten at the speed of light. In the description of the brain and of the function of vision, we have an explanation of how our mind works during learning, thinking, recalling, and saving memories. There is evidence that the quality of the retention of specific information is determined by the amount of synaptic connections formed. The more concurrent connections made during the storage of an event, the greater the likelihood of later evocation of this event. With the repetition of a thought, the biochemistry and electromagnetic resistance of the brain decreases. By analogy, to traverse a closed virgin forest for the first time we need to open up a track. The second time, the track will be cleaner. The more we move through it, lesser the resistance, offering fewer obstacles. Afterwards the trail turns into a wide route, then a paved highway and, finally, into a comfortable super-highway. This is also true in our brain. The more times a path is repeated or a map followed, less will be the resistance. Each repetition increases the likelihood of new repetitions. We experience this phenomenon during the practice of learning, when the repeated reading of a text leads to the permanent retention of that knowledge in our memory. It is hereby stressed that the learning process is the action of acquiring knowledge. The verb ‘to know’ (from Latin cognoscere) has the meaning of “acquiring knowledge through the senses and experience”. Until the 7th century BCE, mythical knowledge explained the reality of Nature and of human beings. Myth is a narrative composed of symbolic images related to an ancient culture, transmitted orally from generation to generation to explain the origin of the events through the action and behaviour of anthropomorphic deities and heroes. With the advent of the ‘Greek miracle’ around the end of the 7th century BCE, Greek philosophical thought dominated the West, while Chinese and Indian philosophical knowledge predominated in the East. In the Modern Age, scientific thought has prevailed in the West. It is up to philosophy to study and research the origin, nature, validity and limits of knowledge. One of the main branches of contemporary philosophy studies knowledge in accordance with rational deduction, searching for the so-called a priori principles of knowledge. The Latin expression a priori means ‘prior to experience’. Experience is that knowledge, transmitted to us through human senses in the practice of life. It is, therefore, knowledge that is logically prior to experience, being independent of it. This branch of philosophy can be called ‘knowledge of knowledge’ or ‘meta-knowledge’. The branch of philosophy that studies the problem of knowledge is called ‘theory of knowledge’ or ‘epistemology’. Bertrand Russell (1926) used the phrase ‘theory of knowledge’ in the title of the entry to the 1926 edition of the Encyclopaedia Britannica. Philosophy of knowledge covers a different scope depending on the philosophical culture of the country. In English the term ‘knowledge’ contains a framework that is more extensive than the corresponding term in other languages. The Portuguese language, for example, as well as other European languages, has the terms ‘conhecimento’ (subjective knowledge) and ‘saber’ (objective knowledge); the French language has the words ‘connaissance’ (subjective) and ‘savoir’ (objective); the Greek language, γνῶσις (subjective) and ἐπιστήμη (objective) (Fuller 2001, 2002, x – xi). Therefore, for English speaking philosophers the title ‘epistemology’ comprises a semantic framework much more widespread than in other languages, since ‘knowledge’ for them encompasses both subjective and objective knowledge. Those who use the term ‘epistemology’ for the study of knowledge in general, usually dedicate the term ‘philosophy of science’ to the study of scientific knowledge. We name all knowledge registered through a language on physical sheets, tapes and any other electronic support that exists, or that will be manufactured in the future as information. Until World War II, information was studied by library science, archival science, museology, with the focus on the ‘physical support’, i.e., the ‘book’ or ‘document’. From the second half of the 20th century onward, the focus shifted from the book or document to its ‘content’, i.e., knowledge recorded on physical media, that is, information. From then on, as a result of this change of focus, a new scientific domain was created as information science. The transition from library and documentation to information science was historically linked by Otlet’s ‘documentation movement’ to information science though the institution of the Fédération Internationale de Documentation et Information (FID), unfortunately lately abolished. This important aspect is the fact that as an ‘entity’, ‘information’ is derived from the graphic record (text) through reading. 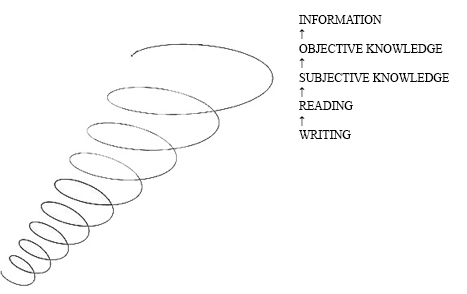 The processes of writing and reading, therefore, are an integral part of the information process. For over 60 years now information science has been subjected to numerous variations of the definition of its object of study, so that it develops as a scientific discipline still groping to find its own specific scope in the scientific field. The meaning of the term information has a very broad extension in existing definitions found in the literature investigating the demarcation of science in the family of the social sciences that emerged from the second half of the 19th century. The excessive diversity of meanings attributed to the science of information, especially in the English language as ‘information science’, has not yet clearly defined the concept and the limits of its object. This has hindered the understanding of the science of information, a crucial element for the progress of this new science. Many authors have tried to further expand the scope of the term information science and of its object, arguing that the more extensive the object of study, the more research opportunities will arise. Among the many authors in this movement, there are even those who mistakenly, in our understanding, perceive that a wide diversity of semantic meanings of technical-scientific terms benefits research through the expansion of the boundaries of the examined discipline. There is also a group of scientists working for a theoretical unification of information science, a motion greatly promoting the increase in ambiguity of the term ‘information’. Philosophy and history of science illustrate unerringly that the expression ‘information science’, naming this new area of scientific knowledge, was born from the disciplines that study the laws and practices accumulated over the centuries by the profession of library science, comprising the areas of archival science, museology, documentation and more recently computer science, and other disciplines. The autonomy of information science, i.e., the faculty to be governed by its own laws, is being conquered gradually, in so far as those from the ‘original trunk’ partake in knowledge of a technical and professional nature, accumulated by the disciplines that contributed to the creation of information science as a scientific domain. The independence of information science from library science is not occurring in a uniform and definitive manner. Since its inception, this area of science has been called ‘library and information studies’ in the United Kingdom, or ‘library and information science’ in the United States of America and in other English-speaking countries. An umbilical connection still exists between library science and information science. This relationship has been compared to a mother (library science) and her daughter (information science) residing in the same house, but on different floors and without any internal communication. Growing up on the upper floor, information science shows that, as from the 21st century, she will be releasing her mother, library science, but will continue to protect her. A simple and methodical tract on information science was prepared by the French researcher Yves-François Le Coadic (1994) and published by Presses Universitaires de France, in its instructive series Que sais-je? nº 2873. It was well received by Brazilian schools of library and information science, and had two editions translated into Portuguese and published in Brazil. This small treatise is a work pleasantly accessible for generalist students, being of great interest also for specialists in information science. One of the virtues of this work is the positive, clear and quite reasonable definition of information: “Information is knowledge registered (recorded) in written form (printed or digital), oral or audiovisual, in a support” (2004, our translation from Portuguese version into English). A second definition deserving analysis came in an article by Jirí Fogl (1979). Fogl was one of a large group from Eastern Europe publishing qualified articles in the periodical International Forum for Information and Documentation (IFID) of the extinct International Federation for Information and Documentation (FID). With the collapse and unfortunate extinction of FID, most of its main journal contributors fell into oblivion. In his article, Fogl traces the relation between ‘knowledge’ and ‘information’. He distinguishes between information and knowledge by stating that “Information is understood as a means of social communication with the help of language, and knowledge as a result of man’s cognition of properties of objects and phenomena of objective reality”. For him “information comprises a unity of three elements: (1) knowledge (contents of information); (2) language (a tool of expression for items of information); and (3) carrier (material objects or energy)” (Fogl 1979, 21). In the 1940s three interconnected works analyzing the concept of information were published. In 1949, Claude Elwood Shannon (1916–2001) published The Mathematical Theory of Communication. A little earlier, in 1948, Norbert Wiener (1894-1964) published Cybernetics. And Margaret E. Egan and Jessie H. Shera, certainly unaware of Wiener’s book, but perhaps having heard of his theory of cybernetics, published their Prolegomena to Bibliographic Control, comparing mechanic control, a subject of cybernetics, with bibliographic control. The publication of Shannon gave rise to the emergence of the so-called ‘information theory’. Subsequently, computer science, artificial intelligence, biology, and other natural sciences, began adopting the term information for their own domains, despite Shannon having stated that the term information, for him, had nothing to do with meaning (Shannon 1949). Finally, one can conclude that among the large number of definitions published in the pertinent literature so far, few are epistemologically valid. For this reason, several literature reviewers on the concept of information science prefer to classify proposals according to a more or less similar view, not analyzing these definitions individually. Two very recent bibliographic reviews summarize the present situation: (a) Gary Marchionini (2010) classifies proposals into five ‘voices’: (1) Information as Thought and Memory; (2) Information as Communication Process: (3) Information as Artifact; (4) Information as Energy; and (5) Information as Identity in Cyberspace. And (b) Luciano Floridi (2010), the prolific spearhead of the leading-edge philosophic branch, a.k.a., Philosophy of Information, published a very well designed ‘very short introduction’ on information. Floridi has a more comprehensive view of the concepts of information, examining every kind of information in any scientific area, as perhaps a philosopher should have done (Floridi 1999, 2003). The first and most profound search for the philosophical fundamental principles of information science can be ascribed to four articles published by the Journal of Information Science at the beginning of the 1980s, written by Brian C. Brookes, professor of the University College London, University of London, on the foundations of information science (1980a, 1980b, 1980c, 1981). Comments on Brookes’ pioneering views on information science were presented by Bawden (2008) and mentioned above. Brookes was persuaded at the time of writing that “theoretical information science hardly yet existed… and floated in a philosophical limbo”. He was also convinced that information science would have to undergo a metaphysical investigation to rescue its fundamental principles. For that sake, he adhered to the ontological and epistemological theory of the three worlds developed by Karl R. Popper (1902-1994), his colleague at the University of London’s London School of Economics. The phenomenon of human knowledge is no doubt the greatest miracle in our universe. It constitutes a problem that will not soon be solved… Since Descartes… the theory of human knowledge has been largely subjectivist: knowledge has been regarded as a especially secure kind of human belief, and scientific knowledge as a specially secure kind of human knowledge (Popper 1976). In order to conceptualize information with an epistemological and cosmological basis, the application of Popper’s theory of three worlds can be very effective. Popper drew up a classification of all beings in the reality of the Universe into three worlds: world 1, world 2, and world 3. In world 1 are classified all beings in Nature not manufactured by human beings. World 2 began with the acquisition of a conscious mind by the humans, when they became able to learn, to acquire knowledge, to store it in their memory, and to communicate it to world 3 through language. In this world 2, ideas, concepts, stories and any other abstract beings constructed or acquired by the human mind are installed. Finally, in world 3 are classified all beings that the human race has built, i.e., artefacts, from the first rude instruments made of stone until the products of more advanced technology invented and built-up to the present time. Basically, all beings from world 3 constitute objective knowledge, i.e., linguistically recorded out of our mind or artefacts with objective knowledge embedded into them. It is the knowledge that people accumulate into their minds by a cognitive process and then communicate to the external environment. The entire objective knowledge becomes embedded into concrete, real and current beings. All products manufactured by human beings as concrete and real substances are also classified as members of the world 1 of physical beings. There is no contradiction in this latest proposition, since this classification has to be understood only logically as Popper’s mind construct, not physically, which would be impossible because a substance cannot be physically divided into matter and form in reality. Popper notifies that “it would be easy to distinguish a number of different worlds within what [he] call[s] world 3… For simplicity’s sake [he] shall speak about one world 3; that is, the world of the products of the human mind”. This paper, however, pretentiously suggests that for clarity reasons world 3 of the products of human mind has to be classified into two ‘continents’: (1) All human artefacts recording objective knowledge through graphic symbols on a physical support are assigned to continent A; and (2) All artefacts with embedded objective knowledge not linguistically recorded are assigned to continent B of world 3. A block of marble, for instance, is a member of world 1 of physical and concrete objects, because it was removed from Nature and not produced by humans. A statue made up of that block of marble is a concrete substance (world 1) with a shape embedded in it by the sculptor (world 3). The idea that Michelangelo carved into a block of marble, for instance, representing the Pietà, constitutes an artefact. Therefore, the statue completed by the skilful hands of the young sculptor took the outline, the form representing the Pietà, in itself, a real, current thing, belonging as such to world 1. On the other hand, the perfect design, the well-finished image of Mary with her child Jesus in her arms, removed from the cross after his death, is a product of world 3, because it came out of the rich mind of Michelangelo to be realized through physical work on the block of marble. This abstract entity, as a creation of the mind of Michelangelo goes to Continent B of world 3, and the sculpture as a concrete, real and current artefact is classified into world 1 of physical and concrete objects. In the same way, when a craftsman builds a house, the building itself, as a concrete, real and current object, is classified into world 1 of physical objects. But, the idea that the craftsman had to organize the foundations, columns, walls, is classified into Continent B of the world 3. In case the manufacturer uses a house project, recorded as a floor plan, either hand drawn by an architect, or designed by computer, it belongs to Continent A of world 3, because the floor plan is a human artefact recording objective knowledge through graphic symbols on a sheet of paper, i.e., on a document. It is important to remember that this theory of the three worlds, as any other classification, is a construct of the epistemological and cosmological mind of Popper, which does not exist physically in reality. This insubstantial aspect of the theory is corroborated by considering that when matter of an artefact is classified into world 1, while its shape is classified into world 3, that is only a logical division, since matter and form in reality are not separable. The idea of Michelangelo on continent B of world 3 to produce a statue was in the brain of the sculptor as a subjective knowledge, belonging to the mind of the knower. To produce the statue, Michelangelo used the archived knowledge in his endosomatic memory to upgrade it to a real thing, an image, as objective knowledge, i.e., the knowledge that has been carried out on the object in the concrete statue. The physical statue is classified as belonging to world 1, where the block of marble with which it was built was found. The same happens with the house. The construction of the house as imagined by the craftsman could also have been built on the basis of a plan drawn on a sheet of paper. This floor plan can be classified on continent A of world 3. Continent A of world 3 covers all graphic symbolic signs on any physical support, representing knowledge recorded in them through language, i.e., meaning or content, built as an organized sequence of marks, for example, on a sheet of paper. Thus, on continent A of world 3 are classified all artefacts consisting of sequences of symbolic marks of writing that have a built-in meaning. This meaning can only be interpreted from writing through reading. This recorded knowledge is information. The term information as the object of information science is applied scientifically to artefacts classified in continent A of world 3. All candidates of continent A of world 3, be they clay plates, scrolls, books, magazines, newspapers, and lastly, any document with any written language are classified as information. As defined previously, all artefacts assigned to continent A of Popper’s world 3 are classified as information or knowledge recorded by graphic symbols. It must be observed that the signal has a specific component as physical support and an ideal component as meaning, both combined as one and integral thing, forming an artefact, whose components are inseparable in reality, being separable only as Popper’s logical construct. Once divided, they lose the nature of information. Information, therefore, is basically a ‘thing’, a physical object, an artefact. Aristotle defines all entities of the Universe as ‘substances’. The term ‘substance’ (οὐσία) is issued, if not in more, at least in four principal cases; for both the essence and the universal, and the genus are held to be the substance of the particular, and fourthly the substrate. The substrate is that of which the rest are predicated, while it is not itself predicated of anything else. Hence we must determine its nature, for the primary substrate is considered to be in the truest sense substance. We describe one class of existing things as substance; and this we subdivide into three: (1) matter, which in itself is not an individual thing; (2) shape or form, in virtue of which the individuality is directly attributed, and (3) the combination of the two. Matter is potentiality, while form is realization or actuality, and the word actuality is used in two senses, illustrated by the possession of knowledge and the exercise of it (On the Soul, Book II, I). It is important to insist that, for the Aristotelian philosophy, the definition is an essential element to start any research, as we have seen above. For Aristotle in particular and for ancient Greek philosophy in general, there are two types of definition: nominal and real. The nominal definition, also called epistemological or semantic definition, seeks to define (definiens) the concept at the end to be defined (definiendum), i.e., a word, a symbol representing speech, which, in its turn, is a symbol representing the concept in the mind of the researcher. The real definition is also called ontological definition because it responds to what is the substance of the concept dealt with (what is it? – τί ἐστί;), as explained by Aristotle. (3) Combination of the two items (1) and (2): the sequence of symbolic records combined with meaning embedded in them is the ‘substance information’. The matter of information, that is, the physical medium containing the sequence of marks, does not mean anything in isolation. The physical medium containing the sequence of marks is ‘potential’, i.e., has only the ability to become an ‘act’. The concept of potentiality refers to any ‘possibility’ that a thing can be said to have. ‘Actuality’, in contrast to ‘potentiality’, is the motion, change or activity that represents an exercise or fulfillment of a possibility, when a possibility becomes real in the fullest sense. ‘Real’ contrasts with apparent, fictional, ideal, illusory, imaginary, as many of the definitions of information tend to characterize the substance information. Hence it is concluded that the substance information is a combination of matter and form. As we have seen, the matter of information, in itself, is not something individual; it has the potential to be combined with substantiality to become information. Secondly, the substantial form, in its turn, allows the assignment of individuality to the combination of matter and form. Finally, the combination of matter with the substantial form, which is incorporated into the graphic recording of a written language as the meaning of the message, realises and actualises information as the object of the science of information. Therefore, Information is the substance composed of matter (text) and form (meaning), that can be extracted through reading. It is important to stress that the meaning can only be ‘extracted’ from the text through the reading process, which allows for the ‘interpretation of the content’ embedded in the linguistic written message. Ahenkorah-Marfo, Michael. “Clarifying Concepts of Knowledge and Information: Literature Review.” Journal of Knowledge Management Practice 13, no. 2 (2012): http://www.tlainc.com/articl308.htm. Aristotle. Пερί ἑρμενείας. Bibliotheca Augustana. Aristoteles Graece. Ex recensione Immanuelis Bekkeri. Berolini, apud Georgium Reimerum, 1831. Facsimile: Internet Archive. Editio digitalis: G. Scherer. http://www.hs-augsburg.de/~harsch/graeca/Chronologia/S_ante04/Aristoteles/ari_in01.html. Aristotle. On The Soul. Book II. Cambridge, Mass. : Harvard University Press, 2000. Aristotle. Metaphysics. Books I-IX. Cambridge, MA: Harvard University Press, 2003. Aristotle. On Interpretation. Translated by E. M. Edghill. 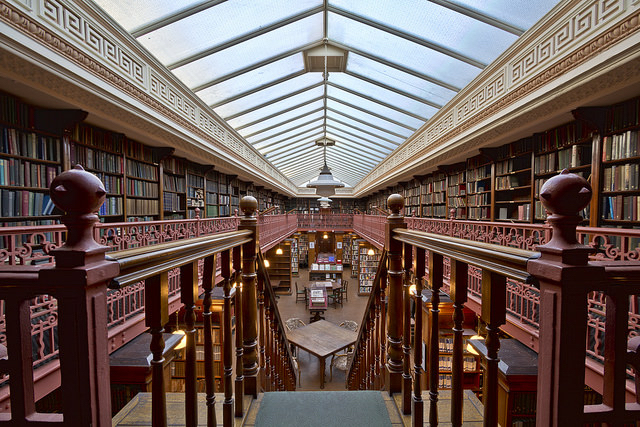 Adelaide, Australia: eBook@Adelaide, The University of Adelaide Library (December 17, 2014): https://ebooks.adelaide.edu.au/a/aristotle/interpretation/. Bacon, Francis. The New Atlantis. Vol. III, Part 2. The Harvard Classics. New York: P.F. Collier & Son, 1909–14; Bartleby.com, 2001. www.bartleby.com/3/2/. Bawden, David. “Smoother Pebbles And The Shoulders Of Giants: The Developing Foundations Of Information Science” Journal of Information Science 34, no. 4 (2008): 415–426. http://jis.sagepub.com/content/34/4/415. Brookes, Bertram. C. “Jesse Shera And The Theory Of Bibliography” Journal of Librarianship 5, no. 4 (1973): 233-245, 258. Brookes, Bertram C. “The Foundations Of Information Science. Part I. Philosophical Aspects” Journal of Information Science 2 (1980a): 125. Brookes, Bertram C. “The Foundations Of Information Science. Part II. Quantitative Aspects: Classes Of Things And The Challenge Of Human Individuality” Journal of Information Science 2 (1980b): 209. Brookes, Bertram C. “The Foundations Of Information Science. Part III. Quantitative Aspects: Objective Maps And Subjective Landscapes” Journal of Information Science 2 (1980c): 269. Brookes, Bertram C. “The Foundations Of Information Science. Part IV. Information Science: The Changing Paradigm” Journal of Information Science 3 (1981): 3. Budd, John. M. “An Epistemological Foundation For Library And Information Science” The Library Quarterly 65, no. 3 (1995): 295-318. Budd, John M. The Information Professions As Knowledge Professions. German-Dutch University Conference “Information Specialists for the 21st Century” at the Fachhochschule Hannover, University of Applied Sciences, Department of Information and Communication, Hannover, Germany, 1999. Capurro, Rafael and Hjørland, Birger. “The Concept Of Information” Annual Review of Information Science and Technologym edited by B. Cronin vol. 37, no. 8 (2003): 343-411. Damasio, Antonio R. E O Cérebro Criou O Homem. Companhia das Letras: São Paulo, 2011. Darwin, Charles. On The Origin Of Species By Means Of Natural Selection, On The Preservation Of Favoured Races In The Struggle For Life. London: John Murray, 1859, 1959. Egan, Margareth E. and Jesse H. Shera. “Prolegomena To Bibliographic Control” Journal of Cataloging and Classification 5, no. 2 (1949): 17-19. Egan, Margareth E. and Jesse H Shera. “Foundations Of A Theory Of Bibliography” Library Quarterly 22, no. 2 (1952): 125-137. Escarpit, Robert. L’écrit Et La Communication. 2nd ed. Paris: Presses Universitaires de France, 1978. Farradane, Jason. “Towards A True Information Science” The Information Scientist 10, no. 3 (1976): 91–101. Farradane, Jason. “The Nature Of Information” Journal of Information Science 1, no. 1 (1979): 13–17. Floridi, Luciano. Philosophy And Computing: An Introduction. London, New York: Routledge, 1999. Floridi, Luciano. “Two Approaches to the Philosophy of Information” Minds and Machines 13, no. 4 (2003): 459–469. Floridi, Luciano. “Is Information Meaningful Data?” Philosophy and Phenomenological Research 70, no. 2 (2005): 351–370. Fogl, J. “Relation of the Concepts ‘Information’ and ‘Knowledge’.” International Forum for Information and Documentation, The Hague 4, no. 1 (1979): 21-24. Foskett, Dougles J. “Progress In Documentation: ‘Informatics’.” Journal of Documentation 26, no. 4 (1970): 340-369. Froehlich, Thomas J. “Social Epistemology And The Foundations Of Information Science” ASIS’87: Proceedings of the 50th. ASIS Annual Meeting (1987): 255. Froehlich, Thomas J. “Relevance And The Relevance Of Social Epistemology” In: Information, Knowledge, Evolution. Edited by: Koshsiala, S. and R. Launo. Proceedings of the 44th. FID Congress, Helsinski, 28 August – 1 September 1988: 55-64. Amsterdam: Elsevier Science Publishers, 1989a. Froehlich, Thomas J. “The Foundations Of Information Science in Social Epistemology.” Proceedings of the 22nd. Annual Hawaii International Conference on System Sciences. Hawaii, Washington, DF: IEEE Computer Science Press (1989b): 306-315. Froehlich, Thomas J. “Relevance Reconsidered – Towards An Agenda For The 21st. Century” Journal of the American Society for Information Science 45 No. 3 (1994): 124-134. Fuller, Steve. “O Projeto De Epistemologia Social E O Problema Esquivo Do Conhecimento” Revista de Biblioteconomia de Brasília 25, no. 2 (2001): 155-166. Fuller, Steve. Social Epistemology. 2nd ed. Bloomington, Indianapolis: Indiana University Press, 2002. Fuller, Steve. “Social Epistemology”. Encyclopedia of Library and Information Sciences. 3rd ed. Taylor & Francis, 2010. Goffman, William. An Epidemic Process In An Open Population. Nature 205, no. 4975 (1965): 831-832. Goffman, William “A Mathematical Approach To The Spread Of Scientific Ideas: The History Of The Mast Cell Research” Nature 212, no. 5061 (1966): 449-452. Goffman, William, Vaun Newill A. “Generalization Of Epidemic Theory: An Application To The Transmission Of Ideas” Nature 204, no. 4955 (1964): 225-228. Goffman, William, aun Newill A. “Communication and The Epidemic Process” Proceedings of the Royal Society. Series A 298 No. 1454 (1967): 316-334. Hegel, Georg Wilhelm. The Philosophy Of History. With Prefaces by Charles Hegel and the translator, J. Sibree. Kitchener, Ontario: Batoche, 2001. http://www.efm.bris.ac.uk/het/hegel/history.pdf. Heilprin, Laurence B. “Critique And Response To Paper By Jesse H. Shera: ‘An Epistemological Foundation For Library Science’.” In The Foundations of Access to Knowledge: A Symposium, edited by E. B. Montgomery, 26-35. Syracuse, New York: Syracuse University Press, 1968. Hjørland, Birger. “Epistemology And The Socio-Cognitive Perspective In Information Science” Journal of the American society for Information Science and Technology 53, no. 4 (2002): 257-270. Hjørland, Birger. “Principia Informatica. Foundational Theory Of Information And Principles Of Information Services” In Emerging Frameworks and Methods. Proceedings of the Fourth International Conference on Conceptions of Library and Information Science, edited by Harry Bruce, Raya Fidel, Peter Ingwersen, and Pertti Vakkari, 109-121. Greenwood Village, CO: Libraries Unlimited, 2002. www.db.dk/bh/Core%20Concepts%20in%20LIS/articles%20az/principia_informatica.htm. Hjørland, Birger. “Birger Hjørland intervention au colloque EPICIC.” University of Lyon, April 8, 2011. http://www.epicic.org/sites/default/files/Hjorland.pdf. Hjørland, Birger. “Information Science and Its Core Concepts: Levels of Disagreement.” Theories of Information, Communication and Knowledge Studies in History and Philosophy of Science 34 (2014): 205-235. Ibekwe-SanJuan, Fidelia. “The French Conception Of Information Science: ‘Une Exception Française?’” Journal of the American Society for Information Science and Technology 63, no. 9 (2012): 1693–1709. Le Coadic, Yves François. A Ciência da Informação. Tradução de Maria Yêda F. S. de Filgueiras Gomes. Brasília: Briquet de Lemos, 1996, 2004. Marchionini, Gary. Information Concepts: From Books To Cyberspace Identities. Chapel Hill: Morgan & Claypool, 2010. McGuirk, Karin. Information Science And The Configuration Of Meaningful Information. Masters dissertation. University of South Africa 30, November 2004. Mikhailov, Alexander. I.; Chernyi, A. I.; Gilyarevskii, R. S. “Informatics: New Name for the Theory of Scientific Information.” Fid News Bulletin 17, no. 7 (1967): 70-74. Peirce, Charles. S. Semiótica. Translation by José Teixeira Coelho Neto, 3. ed. São Paulo, SP: Perspectiva, 2002. Pignatari, Décio. Informação, Linguagem, Comunicação. (Coleção Debates, v. 2) São Paulo, SP: Perspectiva, 1977. Popper, Karl R. “Autobiography.” In The Philosophy Of Karl Popper, edited by P. A. Schilp. La Salle: Open Court, 1974. Popper, Karl R. Conhecimento Objetivo: Uma Abordagem Evolucionária; Itatiaia. (Espírito do nosso tempo, v. 13). Belo Horizonte, BH; São Paulo, SP: Editora da Universidade de São Paulo, 1975. Popper, Karl R. Unended Quest. London and La Salle: Fontana/Collins and Open Court, 1976. Popper, Karl R. “Three Worlds.” The Tanner Lecture on Human Values, University of Michigan, April 7, 1978. http://tannerlectures.utah.edu/_documents/a-to-z/p/popper80.pdf. Popper, Karl R. Objective Knowledge; Clarendon Press: Oxford, 1979. Popper, Karl R. and John C. Eccles. The Self And Its Brain; Berlin, Heidelberg, New York, London: Springer International, 1977. Popper, Karl R., John C. Eccles. O Cérebro E O Pensamento; Campinas, SP: Papirus; Brasília, DF: Editora da Universidade de Brasília, 1992. Pratt, Allan. D. “Libraries, Economics, and Information: Recent Trends in Information Science Literature” College & Research Libraries, 1975. Ranganathan, Shiyali. R. “Application To India” In Sociological Foundation Of Librarianship, edited by Jesse H. Shera, 166-183. Bombay: Asia Publishing House, 1970. Rawski, Conrad. H. Toward A Theory Of Librarianship: Papers in Honor of Jesse Hauk Shera. Metuchen, NJ: Scarecrow Press, 1973. Roberts, Alice. Evolution: The Human Story. London: Dorling Kindersley, 2011. Robertson, Stephen E. “B.C. Brookes And Information Science Education: A Personal Note” Journal of Information Science 16, no. 1 (1990): 9–10. Robinson, Lyn. “Information Science: Communication Chain and Domain Analysis” Journal of Documentation 65, no. 4 (2009): 578-591. Robredo, Jaime. “Filosofia e Informação? Reflexões” Revista Ibero-amerericana de Ciência da Informação 4, no. 2 (2011): 1-39. Russell, Bertrand. “Theory of Knowledge.” Encyclopaedia Britannica, 1926. https://www.marxists.org/reference/subject/philosophy/works/en/russell1.htm. Shannon, Claude E. and Warren Weaver. The Mathematical Theory of Communication. Urbana: University of Illinois Press, 1949. Foreword by Richard E. Blahut and Bruce Hajek; reprinted in 1998. Shera, Jesse H. and Margareth E. Egan, eds. Bibliographic Organization. Papers Presented before the Fifteenth Annual Conference of the Graduate Library School, July 24-29, 1950. Chicago: University of Chicago Press, 1951. Shera, Jesse H. “Social Epistemology, General Semantics And Librarianship” Yearbook of the Institute of General Semantics 26-27 (1960): 19-21. Shera, Jesse H. “Social Epistemology, General Semantics And Librarianship” Wilson Library Bulletin 35, no.10 (1961a): 767-770. Shera, Jesse H. “What Is Librarianship?” Louisiana Library Association 24, no. 3 (1961b. ): 95-97. Shera, Jesse H. “The Propaedeutic Of The New Librarianship” In: Simonton, Wesley (ed.). Information Retrieval Today. Papers presented at the Institute by the Library School and the Center for Continuation Study. University of Minnesota, September 19-22, 1962, Center for Continuation Study, University of Minnesota, Minneapolis, (1963): 5-19. Shera, Jesse H. “Introduction and Welcome” In The Education Of Science Information Personnel, edited by A.J. Goldwin, and Alan M. Rees, 1-5. Cleveland: WRU, CDCR/SLS, 1965a. Shera, Jesse H. “The Library As An Agency For Social Communications” Journal of Documentation 21, no. 4 (1065b): 241-243. Shera, Jesse H. “Information Storage and Retrieval – Libraries”. In International Encyclopedia of the Social Sciences vol. 7, edited by D. L. Sills, 314-318. New York: Macmillan Company and Free Press, 1968. Shera, Jesse H. The Foundations Of Education For Librarianship. New York: Wiley-Becker and Hayes, 1972. Shera, Jesse H. “Two Decisive Decades: Documentation Into Information Science” American Libraries 3 No. 7 (1972): 785-790. Shera, Jesse H. “Toward A Theory Of Librarianship And Information Science” Ciência Da Informação 2 No. 2 (1973): 87-97. Shera, Jesse H. “Librarianship, Philosophy Of”. In ALA World Encyclopaedia of Library and Information Services, 314-317. ALA: Chicago, 1980. Shera, Jesse H. “Librarianship and Information Science” In The Study of Information: Interdisciplinary Messages, edited by Fritz Machlup and Una Mansfield, 386-388. New York: John Wiley, 1983. Siqueira, Jessica C. “The Notion Of The Term ‘Information’: Literature Review” Brazilian Journal of Information Science, Marília (SP) 5, no. 1 (2011): 69-92. Ahttp://www2.marilia.Unesp.br/revistas/index.php/bjis/index. Søren, Brier. “The Foundation of LIS in information science and semiotics” LIBREAS. Library Ideas 4 (2006). http://libreas.eu/ausgabe4/001bri_c.htm. Teilhard de Chardin. The Phenomenon Of Man. Introduction by Sir Julian Huxley. New York: Harper & Row, 1975. Universidade Federal de Minas Gerais. Programa de Pós-graduação em Ciência da Informação. Leituras indicadas para seleção ao mestrado e doutorado 2015. http://pgcin.paginas.ufsc.br/processo-de-selecao/indicacoes-de-leitura-para-selecao-do-mestrado-e-doutorado-2015/. Vickery, Brian C. Stephen E Robertson; Nicholas J. Belkin. (Comp.). “Final Report On International Research Forum In Information Science: The Theoretical Basis Of Information Science” (29 July – 2 August, 1975). The British Library Research & Development Department. Report no. 5262, 1975. Weller, Toni; Jutta Haider. “Where Do We Go From Here? An Opinion On The Future Of LIS As An Academic Discipline.” ASLIB Proceedings 59, no. 4/5 (2007): 475-482. Wiener, Norbert. Cybernetics: Or Control and Communication in the Animal and the Machine. Paris: Hermann and Cie and Cambridge, MA: MIT Press 1948, 2nd revised edition, 1961. Wikipedia contributors. “History of Writing.” Wikipedia August 10, 2015. https://en.wikipedia.org/w/index.php?title=History_of_writing&oldid=675440189. Wikipedia contributors. “Human Evolution.” Wikipedia August 14, 2015. https://en.wikipedia.org/w/index.php?title=Human_evolution&oldid=676068022. Wikipedia contributors. “Origin of Language.” Wikipedia August 19, 2015. https://en.wikipedia.org/w/index.php?title=Origin_of_language&oldid=676883134. Wikipedia contributors. “Timeline of Human Evolution.” Wikipedia August 18, 2015. https://en.wikipedia.org/w/index.php?title=Timeline_of_human_evolution&oldid=676725760. Problem – The concept of ‘information’ has been semantically expanded to cover a much greater domain than that of the original concept of ‘information for information science’, leading to the current view of ‘information’ merely as ‘recorded knowledge’. This problem affects the coherence of information science and, until a consistent definition for the term information is established, there will be growing ambiguity in the field, resulting in a loss of scope in education and research. Rationale – The outlook for the development of information science into a science in its own right will depend upon a delimitation of its real scope as a science. This justifies the assumption that the initial phase of any research proposal is the definition of the object of study, since it is impossible to investigate an undefined subject. Background –There are authors who assert that a clear definition is unnecessary for the advancement of information science. Many researchers are expanding the concept of information to include any set of natural organized data. Moreover, there are those advocating for an encompassing ‘unified theory of information’. The original viewpoint is that the term information was initially established as the object of study and investigation in library science, and that the ‘substance of information’ is an entity manufactured by human beings. Thesis – To settle this problem, it is asserted that the only scientific discipline consistent with an information science is the one whose object of study is knowledge linguistically recorded by human beings through graphic symbols on a physical support from which the embedded meaning can be recalled only through reading. Delimitations and Limitations – The task of examining every contribution defining information as the object of information science is unfeasible in face of the huge volume of pertinent literature. This article limits itself to pursuing the identification of the most prolific authors on this matter, through the analysis of a few authoritative ‘reviews of the literature on the concept of information’. Created from a graphic in Roberts, Alice. Evolution: The Human Story. London: Dorling Kindersley, 2011. In note number 8, Popper acknowledges the influence of Plato’s two worlds to his ideas on the theory of three worlds. He also recognizes the effect on his view of Heinrich Gomperz, who also distinguished between objective and subjective sense of thought. Popper adds that Gomperz had been influenced by Edmund Husserl; and Husserl, in his turn, had been strongly influenced by Bernard Bolzano and by Friedrich Frege. Speech is the issuing of a sequence of sounds to convey a message, instruction or idea. (Words comprise sounds in combination to give the sounds context. Sentences comprise words in combination to give the words context. Sentences (and sometimes words) are separated by audible pauses in the speech process. Recurring words commonly used to communicate between different people might be considered “language”. Perceived patterns or consistency of structure, composition and use in a language might indicate an underlying grammar. It is clearly a complex topic and there are numerous contrasting views it seems, on what constitutes “grammar”. Dear Doctor Trevor Gadd, my doctoral student and I were given a small and rich prize by receiving your comment to our work. The change of our phrase “sounds, i.e., words organized by the grammar” into your “sounds to convey the message, instruction or idea” is not only a correction, but enrichment of the concept of ‘information’ we are supporting. At the suggestion of a work from Rafael Capurro, we had already added the qualification ‘communicable’ to the concept of “information as recorded knowledge” to imply that ‘information’ is a dynamic phenomenon, not a thing to be ‘there’, shelved in the library or posted on the internet, just to be preserved, but mainly to be ‘communicated’ and used. Why are you only proposing, and not doing? This article was a product required for Mara’s PhD qualifying examination. Her research proposes that the growth of a science of information depends on the delimitation of its real scope. At the beginning, we verified that the study and research in this area employ the term “information” in highly ambiguous meanings. We believe it is urgent that the term “information” is employed only univocally to represent the object of Information Science. Therefore, we see “information” as a substance composed of matter (graphic records) combined with form from which meaning can be retrieved and communicated for use. As our research progresses we are being convinced that many other analogical meanings are employed, creating several Information Sciences. In our article, we demonstrate the univocity of the term “information” as the object of Information Science through Aristotle’s Metamorphosis and Popper’s Theory of Three Worlds. We are now adding Elias’ Theory of Symbols, and Ranganathan concept of “information”. If any other action is required in this work, we will be glad to hear of them. We believe this work will give Information Science educators and researchers guidance for them to work into the restricted scope of an original and univocal Information Science. Other Information Sciences should be left to the researchers in the fields they find natural organized structures they call “information” in analogical meaning. We even believe these other Information Sciences should be named as “Information Theories”. However, this situation is presently hardly reversible, since these other Information Sciences have been developed inside stronger natural, social and human sciences. How does one “read” graphics? 1. The book, or graphic record, by which is meant any physical entity upon which is recorded a transcript of human experience, is, and must remain, the central concept of an acceptable theory of librarianship. The role of the library is defined in the origins of the word itself and is subject to modification only to the extent that time has added to the book other media of graphic communication. Thus the fundamental theory of librarianship must recognize the library as an agency of secondary or indirect communication, and the role of the librarian in society as that of a mediator between man and his graphic records. (The foundations of Education for Librarianship, p. 193). Why are you ignoring audio and video records? From our reply as above we can see that there is no limit to the vicarious functions of the “book”. We did not go into these singularities. We take it for granted that our eventual audience is aware of the documentation developments. Ranganathan, for instance, states that any two dimensional document is a graphic record. There are even those that follow on the steps of Suzanne Briet by asserting that living elephants, classified in a zoo, are documents! We have been asked already if a conversation can be information. We are convinced that spoken utterances are also information. For instance, if a tourist asks you: — “What’s the name of this fruit?” — “Oh! That’s an avocado”. That is information in the short time while it is asked and replied. Therefore, it is volatile information that disappears if not recorded on a document.